Date: Nov 8 2018, 5:30 p.m. - 7:30 p.m.
Stop by after work and enhance your financial knowledge. Soldiers and Family members who are wanting to improve their financial status and plan for the future are welcome. Work full time? No problem! This evening class will fit your schedule! 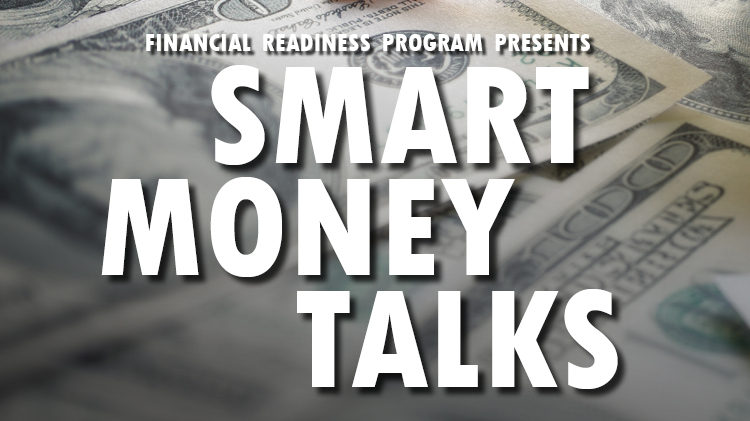 Each month the subject of Smart Money Talks focuses on a different financial advice book, going into detail about how you can use these tools to improve your finances. Along with this great information you will recieve a copy of the book for free. ** Because this class is offered after hours the ACS Center will be locked after 5:35 p.m. Please make sure to be on time or, even better, a few minutes early to this class. Thank you for your understanding. Financial Readiness offers many classes that help you make the most of your money. Make sure to check out all our offerings while you're at Fort Carson. Keep up to date on all ACS and Financial Readiness happenings on our Facebook page.